I was born in a middle class family who in several ways also struggled with finances and such. I asked my parents once why they had to enroll us in the best (but equally expensive) schools when they could have settled for the substandard. I will never EVER forget their answer, "Education is the greatest gift any parent could give to their child". It has to be the most important legacy they bequeathed to me and my siblings (my brother didn't get the memo though, tsk!). Anyway, I've always believed that education could save and improve lives more than anything else. Literacy is truly the key, so when Kaiye invited me to Diksyonaryo Atbp's Project Mesa charity dinner, I said yes in a heartbeat. When most of you are at Fashion Week or the Lifehouse concert, I was there all alone (paguilty? haha). Well to each his/her own, I just wish more people supported the cause. :( Buuut, I had fun though! It was such a nice feeling being in one place with unfamiliar faces all for one reason/cause--the kids & their education. 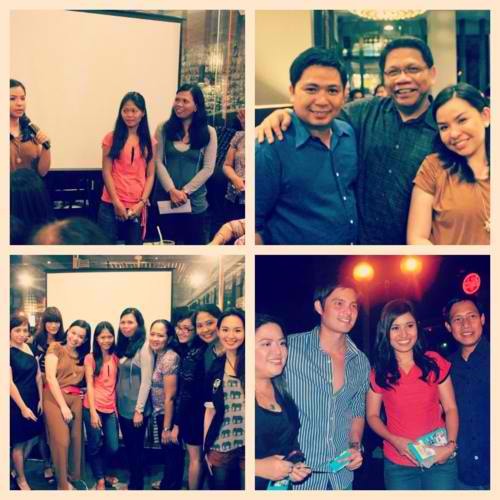 :) Here are photos from the event! 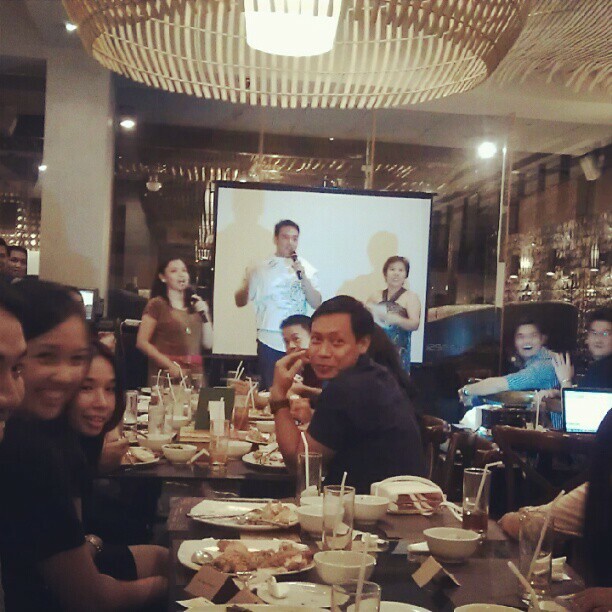 Mr. Ogie Alcasid was introduced! He serenaded us with I think 3 songs while we were eating! Bongga! The project, headed by GMA reporter Lia Manalac, was featured on Brigada! they auctioned Manny Pacquiao signed shirts so they could buy more books! :) the table next to us was full of GMA reporters incliding Sir Mike Enriquez himself! "Lessons like, it doesn’t take much to be happy. Indeed, joy can be found in the simplest of things. It doesn’t take so much to make a child happy- give them a candy, a toy no matter how cheap, a book no matter how old, if that’s all they have, they will still be grateful. It doesn’t take so much to help, you don’t need to be rich, you don’t even have to give the most expensive stuff. All you need to make someone else happy is an open mind and helping hand. Sometimes too, all you need to give is a little of yourself and your time." Thank you for this post Aisa.. Inspiring.. Thanks for this post! And glad you enjoyed the dinner Aisa!